The partners of Bowles Rice McDavid Graff & Love LLP recently elected attorneys Mark H. Dellinger, Robert J. Kent and Sandra M. Murphy to four-year terms on the firm’s Executive Committee, according to Managing Partner Thomas A. Heywood. 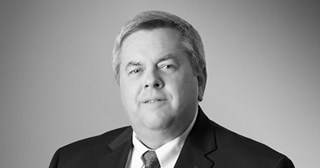 Mark Dellinger is a partner in the Charleston, West Virginia office of Bowles Rice and is a member of the firm’s Employers’ Legal Services department. Since joining Bowles Rice in 1999, he has successfully tried many employment cases to verdict and is recognized by Best Lawyers in America, Super Lawyers and Chambers USA in the areas of Employment Law and Labor and Employment Litigation. Mr. Dellinger received his law degree from West Virginia University and his undergraduate degree from Lenoir-Rhyne University. 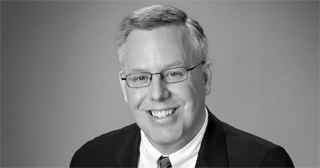 He is the author of numerous articles on labor, employment and related legal topics for state and national publications. Mr. Kent is a partner in the Parkersburg, West Virginia office of Bowles Rice and a member of the Employers’ Legal Services group. He received his law degree from the University of Akron in 1980 and his undergraduate degree from The Ohio State University. He joined Bowles Rice in 1988 after serving in the Office of General Counsel for Nationwide Insurance Companies and as an Assistant Attorney General for the State of Ohio. He has represented numerous employers in litigation, and advised hundreds of employers throughout his years of practice. Sandra Murphy is a partner in the Charleston, West Virginia office of Bowles Rice and leads the firm’s Banking Team as a member of the Commercial and Financial Services Group. She has been recognized by such respected peer review organizations as Martindale Hubbell, which awarded her with its highest AV rating, Best Lawyers in America, Super Lawyers and Chambers USA. In addition, she has been named “Lawyer of the Year” in Charleston by Best Lawyers, for both Banking Law (2009) and Corporate Law (2012). Ms. Murphy joined Bowles Rice in 1986 after receiving her law degree from Brooklyn (NY) Law School. She received her undergraduate degree from Yale University in 1981. Bowles Rice is a regional, full service law firm with 130 attorneys. Offices are located in Charleston, Martinsburg, Morgantown, Moundsville and Parkersburg, West Virginia; Lexington, Kentucky and Winchester, Virginia. The firm’s eighth office, in Canonsburg, Pennsylvania, will open in March.